1779 In June Joaquin de Mendoza, the Governor of the Campo de Gibraltar informed Elliot that he had received instructions to cut off all communications by sea and by land with Gibraltar. In retrospect it seems strange that the Spaniards should have seen fit to forewarn the enemy of their hostile intentions in such a gentlemanly fashion. 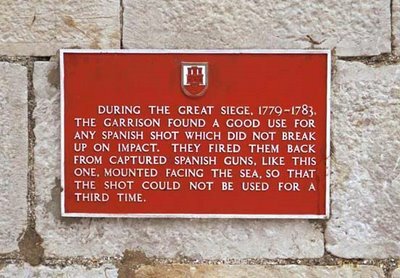 In fact what followed was the most brutal siege ever perpetuated on Gibraltar, a town renowned for having suffered more than its fair share of this particularly unpleasant type of warfare. The colonel was probably being less than fair in his accusation that the inhabitants had fled through lack of loyalty and courage. The records show that the Governor positively encouraged civilians to leave. Indeed he probably forced many of them to leave unwillingly on the grounds that the Rock would be easier to defend with a minimum number of civilians. It was a situation that would find an echo many years later during the Second World War. Whatever the reason, José Chipolina (6.1) and his family were not among those who left the Rock. In fact he had only recently married and his wife Magdalena (6.2) was already pregnant. Despite the fact that very few of those who stayed survived, they managed to do so. Which is just as well from a family point of view, In July, Martin Alvarez de Sotomayor replaced Mendoza as Governor of the Campo area. The guns of the Rock replied and Admiral Barcelo set up the Spaniards' sea blockade. His main offensive tactic was the use of small, but sturdy gunboats. They were 30 feet long and carried a single piece of artillery. On their own they could hardly force the beleaguered town to surrender. But their nuisance value in demoralising and allowing no rest to the defenders made them extremely effective. In September a council of war at the Convent decided to commence a cannonade against the enemy. The first shot was carried out by an officer's lady, accompanied by General Elliot's rather vapid pronouncement: 'Britons strike home!' The overall result was an anti-climax. Very few shells found their mark and only a few desultory cannons returned the fire. The reason for this rather feeble response soon became evident when it was observed that the heavy mortar shell used by the British buried itself in the sand. The subsequent explosion proved harmless to nearby soldiers. A Captain of the infantry by the name of Mercier hit on the idea of using shorter fuses. He soon discovered that this led to the shell exploding in the air with devastating effects below. Despite the Captain's ingenuity the Spaniards continued to exert a certain amount of pressure and in October bomb factories were ominously established at Jimena and by the river Guadiaro. By now food was becoming extremely scarce and people were beginning to squabble over morsels. Troops were required to mount guard with their hair unpowdered to save on flour and all dogs were ordered to be vdestroyed. By November the bakers had shut their doors and bread could only be delivered under the protection of armed guards. The hillside of the Rock was terraced and every available piece of ground was made to produce vegetables. Oranges and lemons were at a premium. 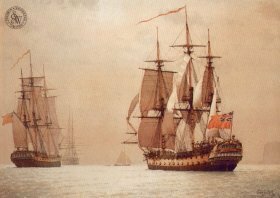 The regulated administration of lime juice in the British Navy to eliminate the risk of scurvy was still fifteen years in the future. Neither for the first nor the last time, Gibraltar was one step ahead. Despite the precautions, however, both the British and Spanish garrisons were affected by both scurvy and smallpox. 1780 By January, thistles, dandelions and wild leeks were the only daily nourishment of many civilians. In certain areas the rodent population was effectively kept to a minimum as hungry people took to hunting them for food. Barcelo's little gunboats were proving effective. But there was some good news. 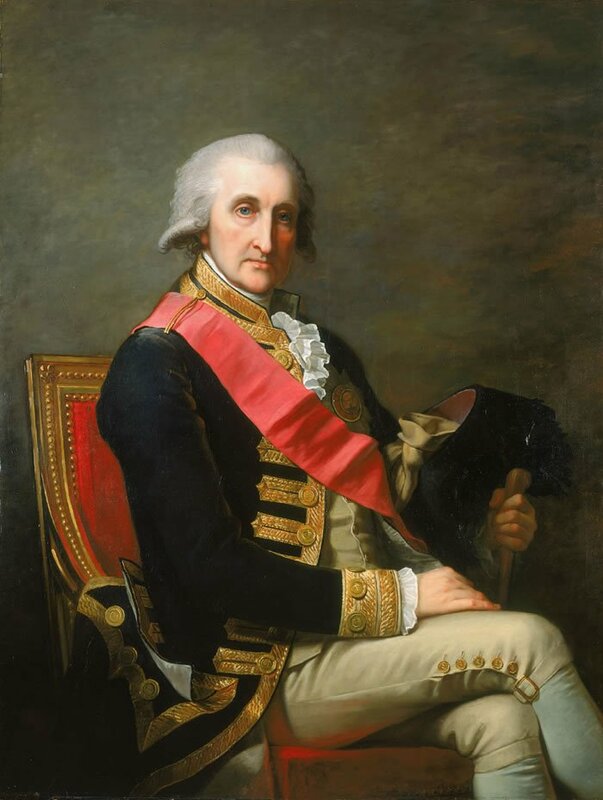 That month Admiral Sir George Rodney defeated a Spanish fleet off Cape St. Vincent. 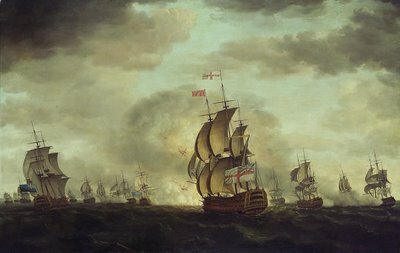 Admiral Rodney defeating a Spanish fleet off Cape St.Vincent. 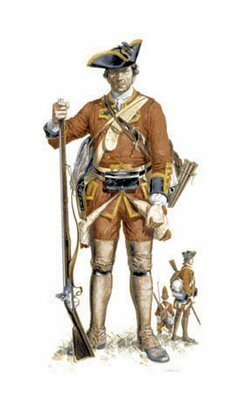 Rodney sailed into Gibraltar bringing supplies as well as some 1 000 Highlanders intended originally for Minorca. The first garrison relief had arrived. Among those who were welcomed ashore was Baron Munchausen. 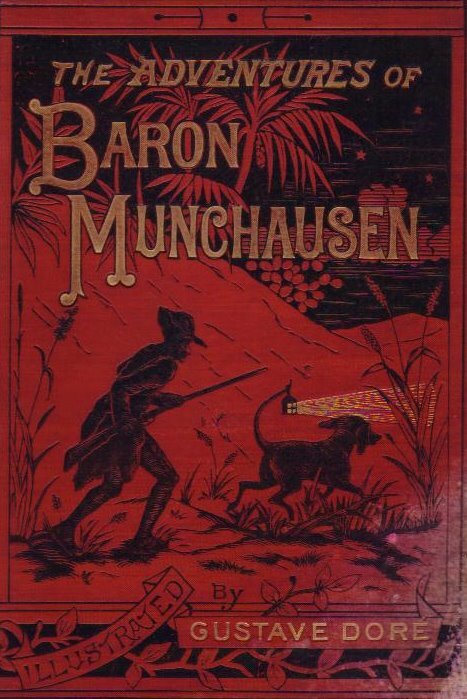 According to his biographer, Rudolf Raspe, it seems that the Baron, having had nothing better to do at the time, had decided to accompany Rodney in order to see his old friend General Elliot. It also seems that during his short visit to Gibraltar this entertaining but compulsive liar accomplished some prodigious feats of arms. In one case he is supposed to have crossed the Spanish lines disguised as a Catholic priest and had then single-handedly blown up an immense stock of explosives. Understandably enough, none of the chroniclers of the period have anything to say about the matter, nor indeed about the good Baron. 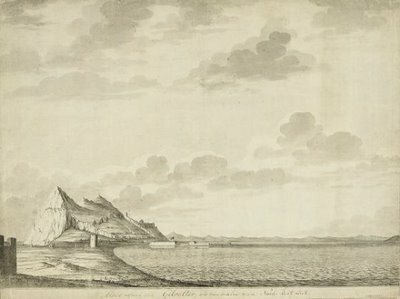 This engraving is the only picture of Gibraltar I have ever come across in which there is not a single ship to be seen in the Bay. My great, great, great grandfather Angel ‘El Nazo’ Chipolina (5.1) was born here on the 12th of May 1780. Although it seems inconceivable that anyone on the Rock could have had time for such activities, Jew-baiting was rife at the time despite Elliot's efforts to put a stop to it. In October British officers went out of their way to desecrate a Jewish cemetery. They were not even reprimanded despite the fact that garrison discipline was extremely harsh on other matters. A soldier caught stealing during this period was hanged for the offence. There was also bad news on the international front as Holland joined France and Spain against Britain while most of the other European powers formed a hostile League of Armed Neutrality. Vice-Admiral George Darby. He was responsible for the second garrison relief during the Great Siege. He arrived with a large convoy and the event is recorded on the left background. 1781 Closer to home Spain came to an agreement with the Sultan of Morocco which deprived the garrison of any fresh food that might have been breaking the blockade from this source. 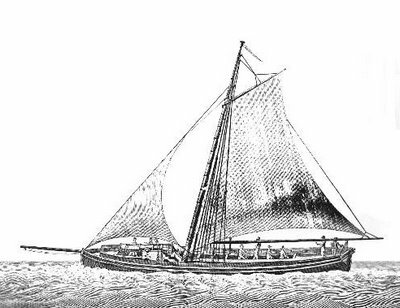 In March Catherine Upton, the wife of a subaltern, writing of the lack of food and high prices, commented on the fact that the Genoese fishermen caught as few fish as possible so as to keep the prices high. Research on ballistics was particularly popular. Gibraltar was leading the field. 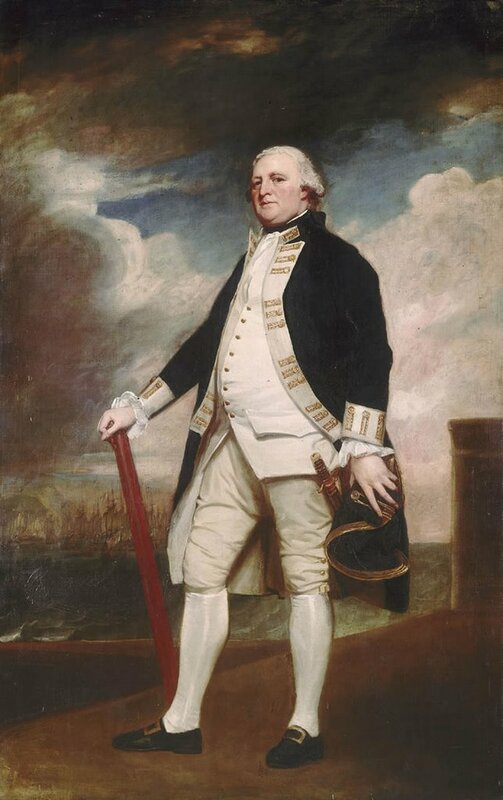 In April a second garrison relief by Admiral George Darby arrived. The convoy consisted of nearly 100 ships. As the boats were out of reach of the Spanish guns these were turned on to the town. The population fled southward. Also in April a wine house was set on fire and the soldiers who tried to extinguish it found a hidden store of liquor. There was no stopping them and for two weeks they continued to loot the hidden stores of the civilians that had fled south. That same month Samuel Ancell, clerk to the 58th Regiment of Foot wrote to his father that all sorts of experiments were being carried out to find, 'the more exact and certain method of killing'. 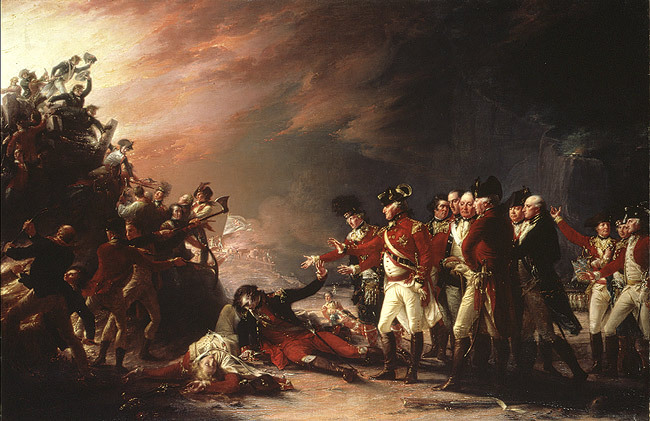 Among many instances of 'caprice and extravagance', Colonel Drinkwater recalls seeing British troops roasting a pig by a fire made of cinnamon sticks. Elliot was finally forced to issue an order that anyone found drunk would be executed on the spot. In May the Spanish guns were almost silent as recasting became necessary. But by July, according to Benedict Miles in his brief 'History of Gibraltar', the town was almost a heap of ruins. Both the synagogue and the 'Spanish' church had been burnt down and the Convent was one of the few old buildings to survive. estimated at about 150 000 balls and 60 000 thirteen inch shells . . . The Sortie. It is not clear at which stage of the sortie the picture represents. The Officer holding centre stage is Elliot but the Scotsman on his right still has his kilt on. Curiously, this event took place roughly on the site of what many years later would become 'La Huerta Fava', of family connections. HMS Defence on the right. The Defence was one of a fleet of 29 ships of the line under Vice-Admiral Darby. They managed to avoid the blockade and brought supplies to Gibraltar. 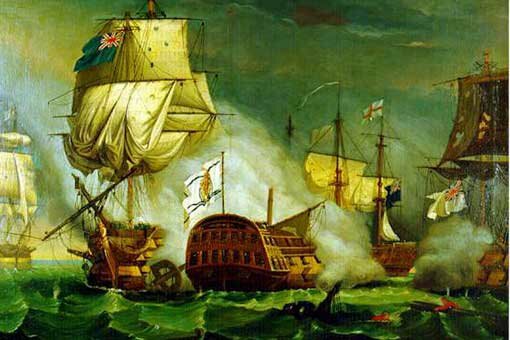 1782 Despite Gibraltar's excellent gun placements there was still a blind spot on the Mediterranean side. This could be solved by placing a gun on a projection of the Rock called the Notch. There was no way to it except by tunnelling. For this a Sergeant-Major by the name of Ince produced a plan to bore into the solid limestone of the Rock. 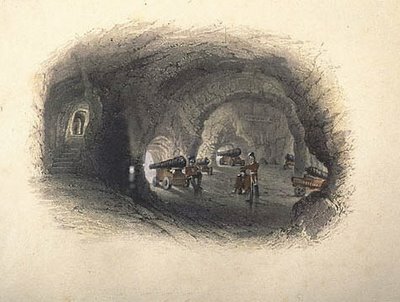 He proposed and carried out the construction of a system of tunnels and galleries which in turn led to a decision to open out air vents overlooking the inaccessible North face of the Rock. 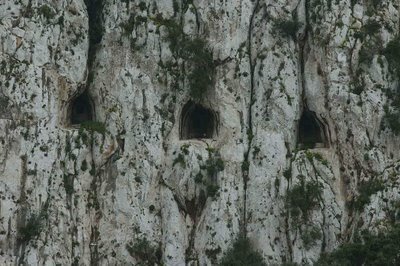 Once the new batteries were installed, the Spaniards soon nicknamed the row of black holes that defaced the white limestone of the North face as 'The old woman's teeth'. Ince's spectacular project survives as a tourist attraction. A Lieutenant Koehler found the answer to the problem of firing a muzzle-loaded cannon depressed below the horizontal without having the carriage and mounting destroyed. His contribution to the defeat of the enemy was considerable. Some two centuries later, a specimen of this type of gun was installed in the forecourt of the local Health Centre. It was not exactly the most appropriate decoration for such an institution. In March work began in Algeciras on the construction of ten 'floating batteries'. These were based on an idea by the Chevalier Jean D'Arcon. The batteries were supposed to be unsinkable because the hulls were to be filled with cork. They were also supposed to be non-inflammable because water was to be circulated around the structures to keep them soaking wet. The intention was to manoeuvre them parallel to the sea wall so as to pound the defences to destruction. News about the 'floating batteries' was first brought to Gibraltar by a man called Chicardo who arrived from Portugal in a small boat after having managed to get through the blockade. 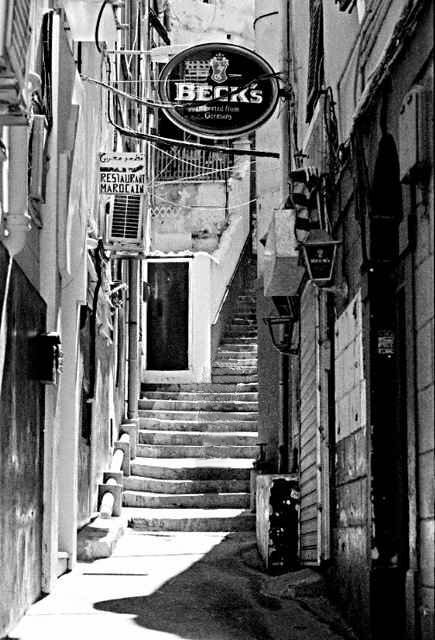 The British gratefully named one of Gibraltar's many narrow alleyways 'Chicardo's Passage' in his honour. Very many years later there was a standing order in force that declared Chicardo's passage out of bounds to all servicemen stationed in the Rock. 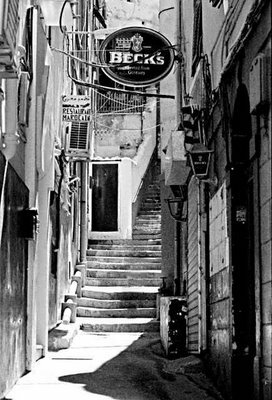 It seems that a notorious lady by the name of Mrs Wink, also known to the initiated as Doña Victoria, ran a brothel of sorts in the alleyway. Typical of any small town with such a wealth of history, in Gibraltar, the trivial and the absurd very often rubbed shoulders with the momentous. Two other roads in Gibraltar that have names with Great Siege connections are Turnbull's Lane and Lynch's Lane. They were called after two merchants who owned blockade-runners. They must have made a fortune.